123 the met condominium, located on South Sathorn Road in Bangkok, near Chong Nonsi BTS sation, is the most prestigious landmark in the Central Business District of Bangkok, Thailand. 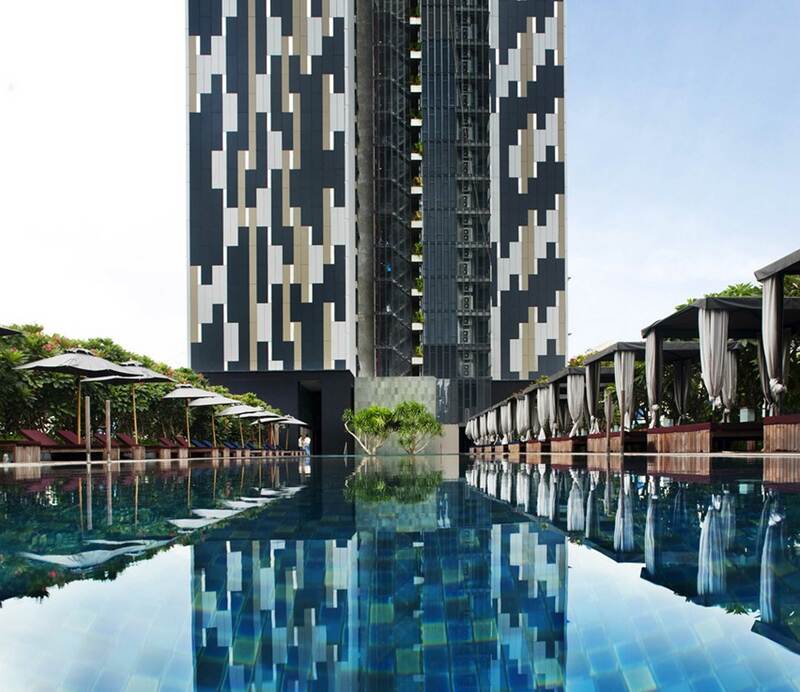 123 the met is a freehold condominium, and non-Thai citizens can purchase and own up to 49% of the total area of 123 the met condominium on a freehold basis. The construction of 123 the met condominium building was completed in May 2009. Besides, 123themet.com is the authority website for any condo for sale and any condo for rent at the met condominium in Sathorn area. Considered as the expert platform concerning sale and rent transactions at the met condominium on South Sathorn Road, the met condo owners, interested or decisive to sell or to let their the met condo unit, contact and join 123themet.com to advertise, market, and to sell or rent out their property at the met Bangkok. Therefore, for prospective condo buyers interested in buying a condo for sale at the met Sathorn and for potential tenants at looking for an excellent condo unit for rent at the met condominium, 123themet.com is the foremost property agency website, with the most condo listings at the met condominium for sale as well as for rent, regardless of the timing of the inquiry being made. Evidently, 123 the met condominium is conveniently located on South Sathorn Road, near BTS Chong Nonsi station, right in the middle of Bangkok’s Central Business District. Condominium building the met is split up into six individual towers, A, B, C, with amazing city views, and D, E, and F, with beautiful river views. The six towers are joined at the ground floor, the 9th floor, the 28th floor and the 47th floor, by communal areas with facilities, pools and gardens, and with spaces in between the six towers, which allows the met to have always two sides of the apartment units with windows that create effective ventilation across the in total 370 apartment units in 123 the met Bangkok. Additionally, the met condominium building is divided into three height-zones. Firstly, a low-zone, from the ground floor up to the 28th floor, consisting of the two lobbies on the ground floor, and the car-park levels with 725 parking spaces, situated on the 2nd until the 8th floor, and on the 9th floor the facility floor with the met management office, the 50 meter infinity edge swimming pool, the main fitness centre, amongst others, and from the 10th floor up to the 27th floor we mainly find the 2-bedroom condo units nicely distributed. Secondly there is, a mid-zone, from the 29th floor up to the 47th floor and thirdly there is a high-zone from the 48th floor up to the 66th floor; Both zones consist of mostly 3-bedroom apartments, and provide two more facility areas on the 28th and 47th floor. the met condominium building measures 228 meters in height, and counts a total of 66 storeys, containing 370 condo units. These 370 apartments are arranged over 55 storeys (floor 10 till floor 27, floor 29 until floor 46, and floor 48 till floor 66), with each of these 55 floor plan counting approximately 1,160 square meters, and totaling the residential living space to roughly 64,000 square meters, which is a tremendous liveable area for a grade A-plus condominium building in South East Asia. Of these 370 the met residences, the vast majority, 188 apartments, are 3-bedroom condo units, with approximately 200 square meters, which implies that about 57% of the privately owned living space in the met building is consumed by the 3 bedroom condo type. The 2 bedroom apartments in the met, of which only 152 unit have been built, measure on average nearly 100 square meters, which causes only 23% of the personally owned living area in 123 the met Sathorn to be taken by the 2-bedroom condo type. The residual 20% f the private residential space at the met is divided over 30 grand residences, all of them with 4 bedrooms; 24 duplex apartments (8 units without and 16 units with private pool terraces) of 366 and 408 square meters, randomly dispersed through all the 3 different height-zones in the apartment building, and 6 triplex penthouses of 545 square meters covering the 3 top layers of the met, on floor 64, 65 and 66. Designed by WOHA Architects, developed by Pebble Bay (Thailand) Company Limited, a member of Hotel Properties Limited (HPL), and built by main contactor Bouygues Thai Ltd., 123 the met condominium building in Bangkok has won many significant awards such as “the 2006 Asian Habitat Award for Planning & Designing at the 2nd International Designing Competition on Asian City Housing & Environment”, “the 2006 MIPIM Architectural Review Future Project Award, in the tall buildings category”, “the President’s design award Singapore 2009”, “Winner of the World’s Best Housing Development Award at the World Architecture Festival Awards 2009”, “Bronze Award winner at the 2009 Emporis Skyscraper Award of the Year”, the “RIBA (Royal Institute of British Architects) International Award 2010”, “Winner of the golden award at the 2010 Australian Institute of Architects National Architecture Awards”, “selected as one of the 5 best high-rise buildings in the world for the 2010 International High-rise Award offered by the City of Frankfurt / Main”, and the “Green Good Design Award 2011, in the category Green Architecture”.